Published May 4, 2018 at 11:26 a.m. Updated May 4, 2018 at 4:38 p.m. 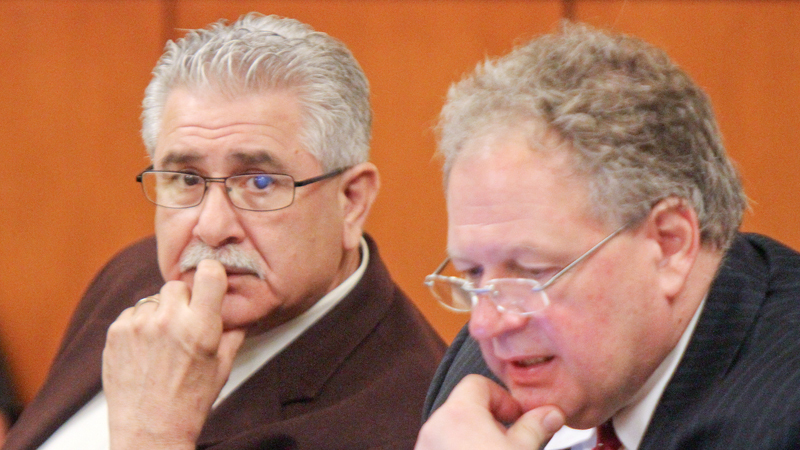 Deliberations in the Ralph Infante corruption trial will begin at 9 a.m. Monday. The panel was given the choice, and they decided at around 4:15 p.m. to go home rather than try to start deliberations this afternoon. Before that, they received jury instructions, and closing arguments were given. In his closing argument attorney John Juhasz, who represents Infante, said it would be wrong to listen to evidence in this case and view the types of mistakes made in some cases as a "criminal enterprise," as one of his charges against Infante alleges. Juhasz said not all public officials are "the sharpest," and the job of an elected official is challenging because it requires him or her to carry out public duties while also raising money and running for re-election. "The guy who operates a small town and operates a bar is not John Gotti," Juhasz said, referring to a well known mob boss. Infante owned the ITAM No. 39 for many years while serving as Niles mayor for 24 years. Infante, 62, is charged with 32 criminal counts, including operating a criminal enterprise, five counts of bribery, 16 counts of tampering with records, gambling offenses and others. Dan Kasaris, assistant Ohio attorney general, invited the jurors to listen to a secretly recorded 2009 interview of Infante by FBI agent Deane Hassman while they are deliberating verdicts and compare what he said then about the 2007 national championship football game he attended and his comments in 2015. "You'll find that there are two versions of reality," Kasaris said, adding, "You'll find the first version is reality." In the recording, Infante said he had gotten the tickets for the game from former Cafaro Co. executive Anthony Cafaro Sr. or his son and admits he failed to report them as gifts on his ethics disclosure form. Infante told Hassman during the second interview that his wife bought them for him. Kasaris said some laws may seem "silly," but the jurors swore that they would uphold the law in their decisions about the case and explained the reason public officials are required to report gifts. "It's for transparency reasons," Kasaris said. "It's so you can pick up the phone and find out who's giving gifts" to your public officials, "so you can know who has a conflict of interest."